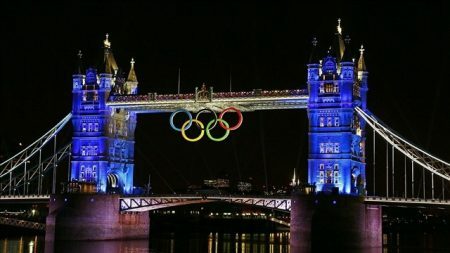 In a recent post on Twitter/Facebook, the comedian and actor, David Schneider, noted the spirit of joy that ignited in Britain during the Olympic summer of 2012. I’d agree with him, though it’s a shame he framed it with the seeming pessimism pervading our current mood and mindset as a nation/world. David was in the first Mission:Impossible. It’s apt that a new Mission (FALLOUT) is doing the rounds at the box office now. It owes a LOT to SKYFALL and DARK KNIGHT RISES..two films that in their way, happened to coincide with a feelgood aura that is sadly missing in action today. Can that great feeling be recaptured? Of course, in time. It cannot be forced. It just HAPPENS, cyclically. Meantime? Harness the memories, whilst moving into the future, one day at a time. One cannot control or shape history. Events come to us and we must be proactive in how we respond and it is in THAT maturity that we as individuals, communities and societies, find the joy in endurance, survival and triumph at the RIGHT time. Cometh the hour, cometh the man, cometh the MOVIES..and SKYFALL and DARK KNIGHT RISES show that message, vividly. 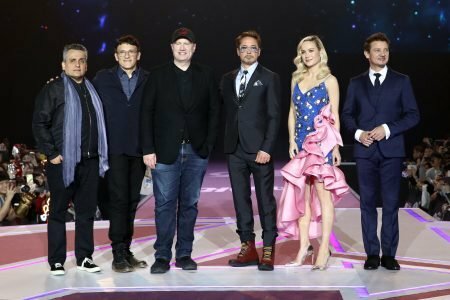 Both films deal with rebuilding a hero, after moments of tragic loss, in the face of a new challenge that cannot be ducked. 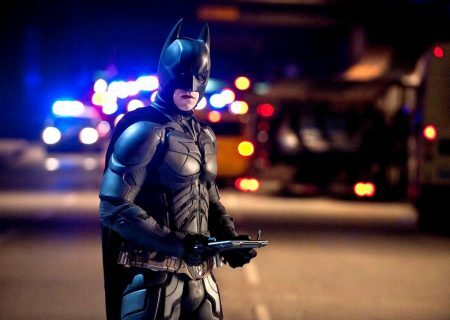 Bruce Wayne must learn to move on from the losses of his past and, whilst returning to action as Batman, must also accept that clinging to that mythological existence is ultimately as destructive as drug addiction. 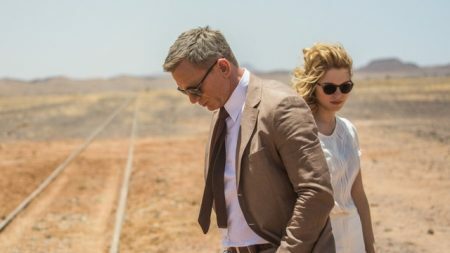 James Bond must learn that he is older as is his world but by embracing the fusion of experience to new world threats, finds a renewed sense of purpose and joy. In each case: the realities of mortality and loss are there and cannot be evaded or even held back, let alone defeated. At the same time, the acceptance and letting go, gives life and liberation to the heroes. In the same way? The Olympic spirit of 2012 was itself something of a surprise: it gripped Britain like the sudden flush of romantic infatuation. The nation was facing austerity post economic crash and its position on the world stage looked to be ambiguous, at best. Were we players in the reshaping of a post Arab Spring middle east? Friends or foes of a (then) emergent Russian powerhouse of Oligarch money? A satellite state off America? And did we belong in European community life at all as UKIP continued to tempt Tories teetering towards temptations of extreme Euro-scepticism; while Eurocrats practically goaded us, contemptibly, into Brexit referenda? . And so on. Sadly, those questions were mostly resolved unhappily in the last two years. But the problems WERE there in 2012. We just found a way to unite in a common purpose of sporting excellence; engendering a transcendent love of sport, health and fitness. 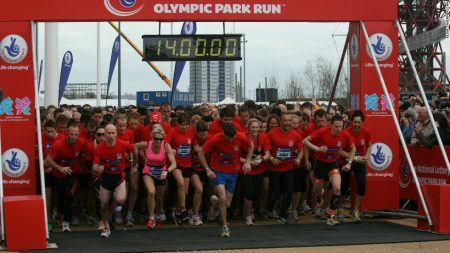 It’s notable that the #PARKRUN initiative really started to take off in the bask of Olympic enthusiasm and is one of the many legacies that is STILL going strong, today. The nation BECAME a task; the empire’s spirit alive but harnessed, in the RIGHT way; uniting rather than dividing in a civil appreciation of sport and leisure management. The notion of PHYSICAL challenge makes time and matter work for us, focusing our efforts and attentions on immersion in striving for improvement. Mind, body, spirit: there is a connection, however hard it might be to see on occasion. We cannot control nature or ageing or individual physical limits. You cannot make everyone like you in /around communities. We do, however, have a duty to TEST those boundaries and push together in a common good. And when we at least try..or even ‘try to try’; inevitably, a pleasant surprise awaits. 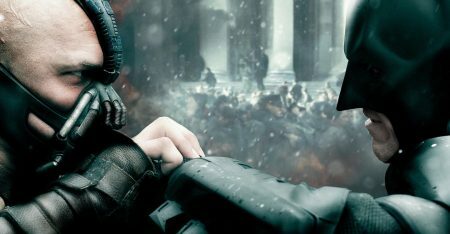 DARK KNIGHT RISES embraces that sense of physical challenge as key to spiritual awakening and reclaiming a community. We start with a broken Batman who gets even MORE bruised and bloody and beaten on his first hubristic foray back to the field. 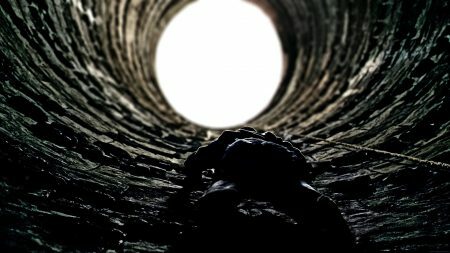 He rebuilds his body and thereby his mind and spirit, climbing out of a literal and metaphorical pit to reclaim his beloved Gotham City. SKYFALL sees James Bond effectively die on a mission and his attempts to be reinstated for duty are initially, a crushing failure. Note the imagery of death and dying in the beautiful opening credits’ sequence. The hero’s journey is set up. Mortality, age, failure ALL must be faced and endured and that in itself is a triumph. Evasion is not an option. It’s implicit but clear enough that Bond simply has to try harder; battling extreme pain, fatigue and addiction to booze and pills. His love of country pull him through. The man and myth are reborn in time to slay the Dragon of Silva the terrorist/hacker (Javier Bardem: excellent, as always; best Bond villain since Robert Davi’s Sanchez in Licence to Kill) and more mundane yet equally devastating, civil service based challenges to the very existence of the 00 section. On Her Majesty’s Civil Service? Of course, every new beginning, by its nature, leads to a new..end. And one could argue that there is no such thing as a truly happy ending (no; not like ‘THAT’ ;)). Either there is ‘nothing’: be it boredom, old age, fading out of existence? Or there is a repeat of the cycles that led to that end /beginning/end, on repeat, forever. Logically therefore, one must lose the notion of a truly lasting happiness if one is ever to grasp the moment OF soulful satisfaction. It’s a very Buddhist concept. Bond and Batman are merely fleeting models of a truly timeless template. A happily ever after is actually about accepting the need for a POSSIBLY sadly never, without gloomily relishing that or allowing oneself to be defined by defeat. And THEN one unlocks true triumph. ALL brands and franchises to some extent embrace and model that lasting truth. Disney’s FROZEN teaches kids to ‘LET IT GO’. Indiana Jones frequently lets go of the mcguffin he chases ‘Indiana, let it go’. Tony Stark eventually goes back and builds more Iron Man suits, then destroys them, then rebuilds, then vows to destroy them again and so on. Star Wars ended beautifully with Return of the Jedi at that festival on Endor with the Ewoks..except it didn’t..because we wanted those characters back..it is sad to let them go..so we bring them back..only to..let them go, again..FORCE AWAKENS/LAST JEDI/Episode 9..etc. The cycle never ends in life as in film and vice versa. It just happens that DARK KNIGHT RISES and SKYFALL harness those truths in a most constructive, self contained and inspirational fashion. And as fate would have it, that coincided with the happiest of recent memories in British identity and accomplishment. DARK KNIGHT RISES has, of course, many flaws. The ‘Miranda Tate’ character is awful; there are lulls in pace and leaps in logic; it is unintentionally camp and wastes the potential for numerous adventures in that universe that had been set up in BATMAN BEGINS. And yet, it is maligned mostly for THAT ending. That ‘cafe in Florence’. I actually think it is the film’s saving grace and it’s what keeps me going back. Is it a definitive end? Yes and No. 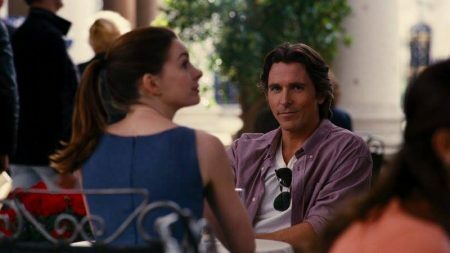 Batman is to all intents and purposes, dead and Bruce Wayne has a new life. But equally, he could be brought back, if called. I had thought the dawn of Superman in Man of Steel would have spelled a shared universe need for the Bale Batman to return; before they cast (the equally good, btw) Ben Affleck for BATMAN V SUPERMAN. Equally, whilst ‘Rises ends on a high note of promise, it is implied that Joseph Gordon-Levitt’s Robin / John Blake takes over as the new Batman? 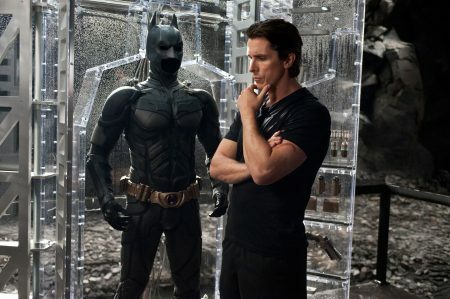 Fine, except he had none of Bruce Wayne’s training so inevitably, is being set up for a further fall? From which surely Bruce would have to come back and save him; especially if Blake turned bad and became a deutero-Joker/Riddler type? And yet, that Cafe still stands..and Bruce could always go back there, anytime, after any other adventure / brief row with a surely soon to get bored Catwoman/Selina Kyle (Anne Hathaway: divine!). 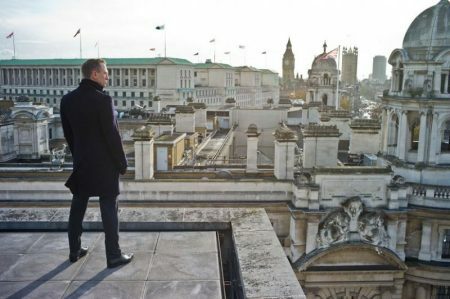 SKYFALL is also a British gem, made via American /Anglophile (ie the lovely Broccoli family) investment in filming the beauty of London. It’s not a flawless film, naturally. By no means a perfect script. Owes a LOT to the (then) trend of having a villain with too much foresight. 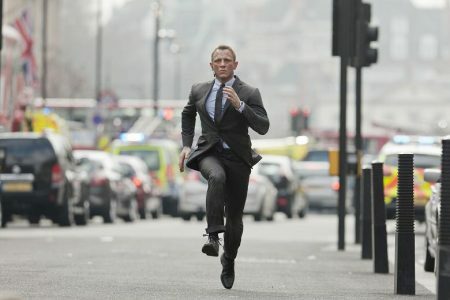 The stakes are a little low (will Daniel Craig’s Bond EVER just save the world /London/something??). The dialogue is a bit pleased with itself. The Scotland stuff is a bit out of place. And yet? Brilliant. Its ending is particularly clever. Bond, restored to power. Overlooking London, from the rooftops, amidst a sea of union jacks. That IS his cafe in Florence moment. Great performance from Daniel Craig, directed with soul, style and substance by Sam Mendes. Not for Bond, the pipe and slippers /wife and kids and any attempt to tie his fate in that direction can only feel forced or end in tragedy (hence SPECTRE feeling so forced). He lives and dies protecting the nation’s security; faceless and powerless to his fate and yet THE very personification OF that ethos. He has faced the ultimate truths of ageing, loss and mortality and has matured from his childish cocoon, via the death of his mother figure, M (Judi Dench, in her best performance of the series). But she has died in the field; looking forward into battle until the bitter end. Bond knows he must do the same from that day forward and he is at peace in consequence. It’s a pyrrhic victory but a win, nonetheless; the hero has come full circle in reversal and recognition: defeating tragedy through embracing its inevitability. In that sense: a final Bond film or as close to one as possible. From there onward, one could simply re-watch all the previous films in the series, in a new light or imagine later adventures. But following it up, without reboot? Was ALWAYS going to be tough. Hence, SPECTRE being so problematic and it’s a fine film but lacks the sophistication, class and above all the organic spirit of SKYFALL. That said? I have high hopes for BOND 25, coming 2019. 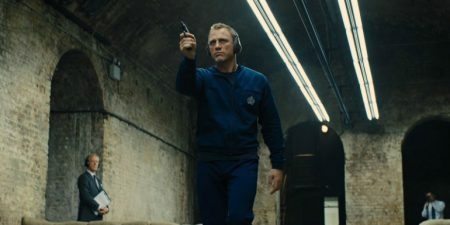 It is directed by DANNY BOYLE, whose short film about James Bond meeting the Queen for the Olympics was a key factor in the hype for both the big games and indeed the 007 franchise in its 50th anniversary year. If anyone can harness that magic again? It’s him. The Olympic spirit in the same way was and indeed still IS a snapshot of happiness; closure on years of work and preparation, a perfect tribute to the past and a promise of a bright future. We cannot recreate that moment, though its feelgood vibe DOES occasionally tremor back (Royal Weddings, World Cups..we are getting there). And we can honour the legacy, daily, in readiness for the next great challenge and opportunity. Don’t lose faith or hope. James Bond will return. Dark Knights will Rise again. And Britain will endure, bounce back and feel brilliant again. If you find yourself losing hope in that ideal? Just think of 2012 and maybe watch one of the films from that splendid year. It works for me, every time. Remembering possibly THE happiest summer in recent memory. But always facing forwards in that very mindset. Until the next great adventure.